What can I say? I have a thing for minor works. The less liked, known and read ones. The ones you name, and eight times out of then are met with stares between wary and blank. And if an author only experimented once with historical fiction, and the result is unanimously regarded as minor and weaker – that’s where I unerringly give my predilection. 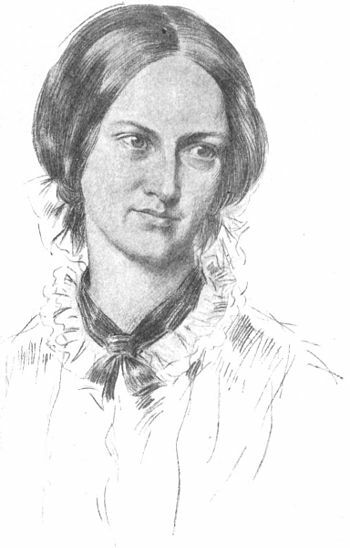 Take Charlotte Brontë: only once did she dabble with history. Recent history, and local, and small scale – for her Shirley is set in Regency Yorkshire, against the Napoleonic Wars and early Luddite riots. Partly written as a piece of escapism as Charlotte struggled with the illness and death of her three siblings in short order, Shirley is indeed an uneven affair. And yet, I love it for what works in it (Robert Moore, the Yorkes, Dr. Helstone, the three curates…), and what doesn’t still provides fascinating glimpses on the artistic growth of Charlotte-the-novelist, as well as the mind of Charlotte-the-woman. Dickens wrote two historicals: the enormously famous A Tale of Two Cities, andhalf-forgotten Barnaby Rudge. I love both, but have a soft spot for Barnaby. It’s a rather purple tale set against the Gordon Riots – a nearly-surreal anti-Catholic insurrection in early 18th Century London – and sports a singularly ill-conceived eponymous hero, and the flattest pair of cardboard lovers. 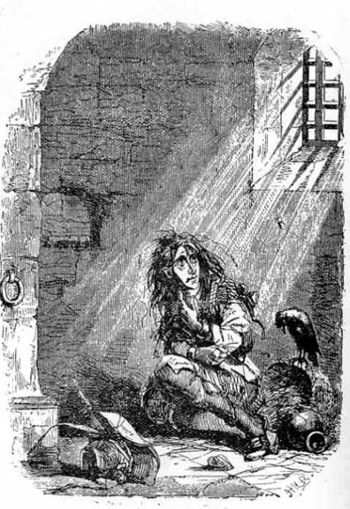 And yet, poor mad Lord Gordon and his evil secretary, Grip the Raven (that was to inspire Poe), Miggs the maid, Dolly Varden, the winter night in the inn at Chigwell, and most of all the assault on Newgate prison, make the whole memorable. Uneven as they come, but where it works, it’s more than worth the pain. Same goes for Steinbeck. 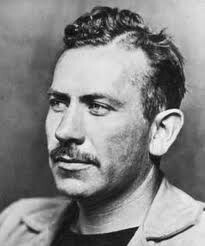 Is it very bad of me to confess that The Cup of Gold is not only my favourite Steinbeck, but the only Steinbeck I really like? I suppose it is – also because The Cup is unmistakably ‘prentice work – but what’s a girl to do? It’s not so much Morgan-the-pirate, as Morgan-the-liar – the man who spends a whole life in the effort of fashioning his life according to his expectations, by way of storytelling and actions in equal parts. Except, the man is so busy making up his own myth, he never quite grasps that the more he weaves it, the less his listeners believe him. I don’t know. At times it’s the historical setting, at times it might just be sheer contrariness, but what draws me most is, I think, the occasional awkwardness of an author still seeking his or her voice. I have a liking for the imperfections caught in the texture of the writing, for the still rough edges, for the contrast between what works and what doesn’t, the friction with the unusual genre, the inner mechanism glimpsed through the cracks… Ah well – it’s a weakness. And how about you, o Readers? What minor works do you like? And why do you like them?